Nick Fradiani is the announced winner of American Idol Season 14, Clark Beckham runner up! Nick Fradiani was named as the American Idol 2015 winner on Wednesday, May 13, 2015. 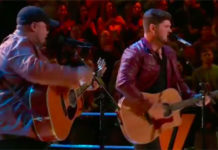 The 29-year-old singer from Guilford Connecticut, who brought powerhouse performances to the top-rating singing competition American Idol, beats Clark Beckham in the public vote. 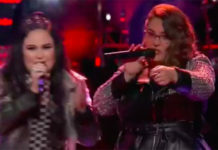 On Tuesday, the Top 2 finalists performed three songs each — Simon Fuller’s Choice, Favorite Performance and Winner’s Single. Nick Fradiani brought outstanding performances of “Bright Lights” by Matchbox 20 and “I Won’t Give Up” by Jason Mraz. He also performed an original song called “Beautiful Life” as his coronation sing and first single during the finale episode. 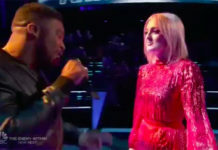 The winner was announced at the end of a two-hour finale featuring performances from Fall Out Boys, Steven Tyler, Chris Brown, The Jacksons, Pitbull, Ricky Martin, Idol Judges and many more. Nick Fradiani took home the cash prize and earned a recording contract deal with Big Machine.